Back in 2010, the first Xenoblade Chronicles launched in Japan. The UK got it a year later, but North American audiences were annoyed that they seemingly weren’t getting a sniff. This resulted in Operation Rainfall, a protest campaign run by US gamers who wanted to see Xenoblade Chronicles (as well as The Last Story and Pandora’s Tower) released in their region. Eventually, nearly two years after it launched in Japan, Xenoblade Chronicles was finally released in the US. Nowadays, though, it’s a different story. A handheld port of the game hit the New 3DS in 2015, and this time the gap between eastern and western releases was a mere eight days. The Wii U spiritual successor Xenoblade Chronicles X did take a while longer (seven months) to make it outside of Japan, but when it did it enjoyed full parity with Europe and the US getting it on the same day. 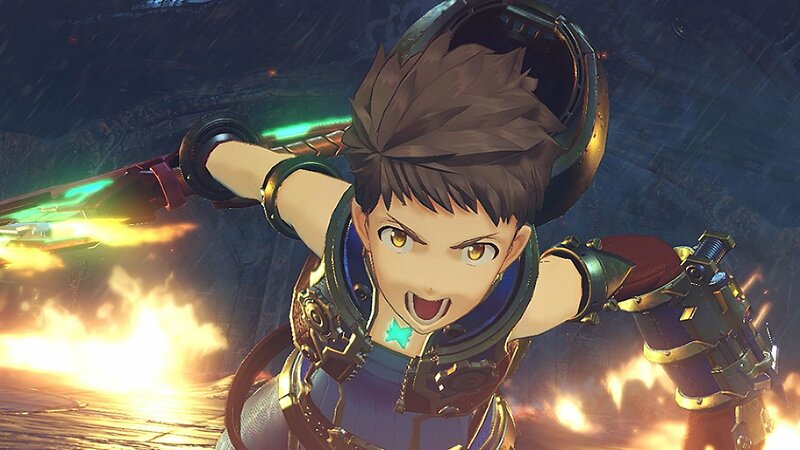 And so now here we are with Xenoblade Chronicles 2, the first ‘proper’ sequel and the first to have a proper worldwide launch day. We’ve come a long way. Chronicles 2 is set in a completely different location to its predecessors, with entirely new characters. This time the setting in question is Alrest, a strange world submerged in a sea of clouds where huge beasts called Titans roam around with entire habitable lands on their backs. The new protagonist is Rex, a seemingly Mancunian chap who’s been spending his time salvaging goods while travelling on the back of a (relatively) small, elderly Titan he calls Gramps. One day, while selling his latest findings at a trade guild, Rex is summoned by the chairman of the guild and asked to go on a special salvage job, which will pay him a crazy sum of money. Even though this is fairly early on in the game, I’ll spare you the rest of the details and let you discover them for yourself: needless to say, it doesn’t go quite as planned. 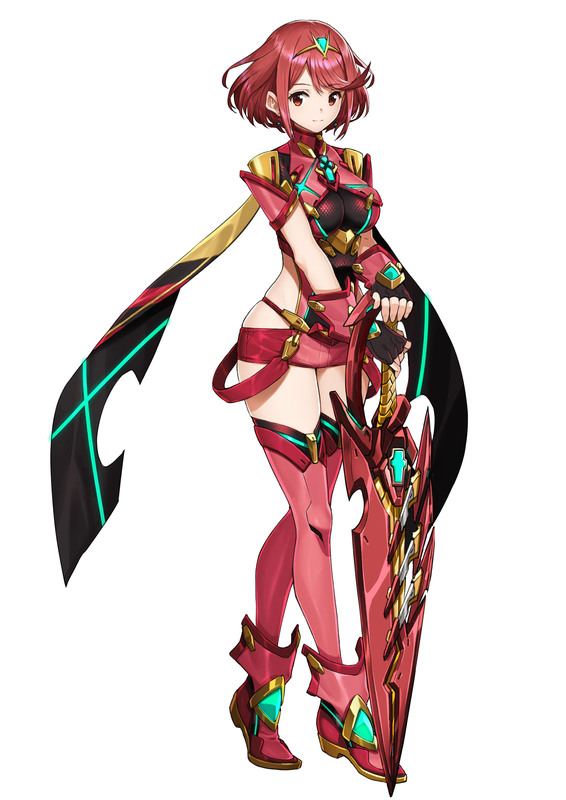 The result is that Rex ends up encountering and teaming up with Pyra, who’s a Blade. 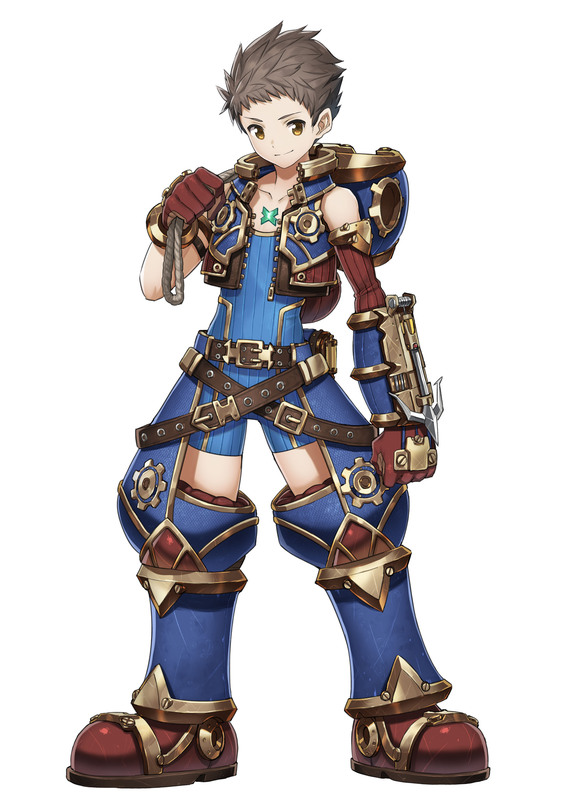 This means she’s essentially a weapon in human form (albeit a form that’s conveniently top-heavy in the chest region) and, when linked with Rex, gives him his own power and weapon. This is one of the main game mechanics this time around: you can find new Blades as you play through the game, and gain their powers and elemental abilities as a result. Picture a version of Pokemon with real-time battles, albeit a saucier version where your Wigglytuff’s arse is hanging out. 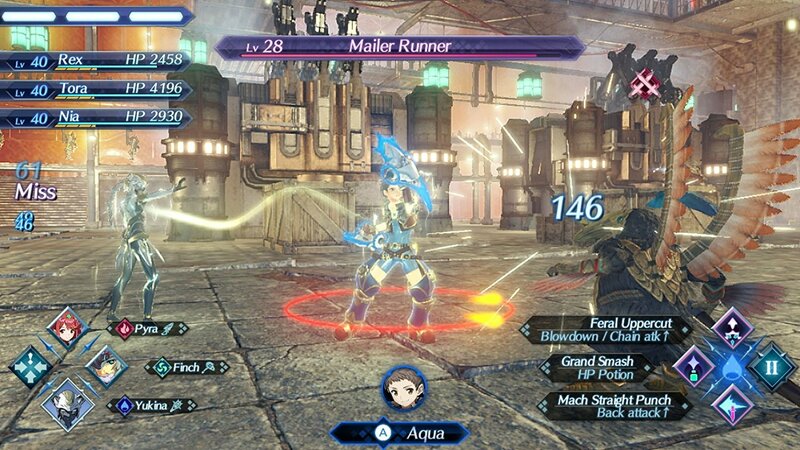 Speaking of real-time battles, that’s the big trademark Xenoblade characteristic and it’s still very much present here. For those who haven’t played other entries, all the battles trigger in the game world and kick off right away instead of transitioning to special battle screens: this means other nearby enemies can get involved at times if you aren’t careful. It isn’t turn-based, either: instead, your character has a low-power auto attack, and every time you hit with it you build up your special attacks, known as Arts, which can then be triggered whenever you want. That’s the basics. In reality, it’s vastly more complicated than that, to the extent that even 40 or 50 hours in I still wasn’t sure if I’d properly grasped all the intricacies of the battle system. Without going into too much detail, as well as the auto-attack and Arts moves, you also have to take into account your four levels of Special attacks, switching between up to three Blades at once, Driver Combos, Blade Combos and Fusion Combos. Then you’ve got all the other ways your attacks are dependant on other members of your party, and the whole thing is just one big onslaught of numbers, gauges, health bars and encouraging slogans being shouted out in a variety of British dialects (there are even a couple of Scottish ones in there, of varying levels of quality, which is nice). The whole thing would be a lot less bewildering if there was some sort of in-game manual or encyclopedia that you could call up to recap all the components that make up the battle system, but this is sorely lacking. Instead, once you skip the single screen that appears each time the game introduces a new battle feature, that’s the last time you’ll ever see a tutorial for that particular element, meaning if you want a reminder on how it works you’ll either have to figure it out for yourself or go online and find a user-written FAQ that’s hopefully accurate. It’s a massive oversight and one that makes an already complicated game much less user-friendly, so hopefully at some point Monolith Soft decides to patch some sort of glossary menu into the game. Not that you won’t have a lot of time to get used to the battle system, mind you. As I’ve already hinted, this game is enormous: not just in terms of how long it takes to beat, but the game world too. 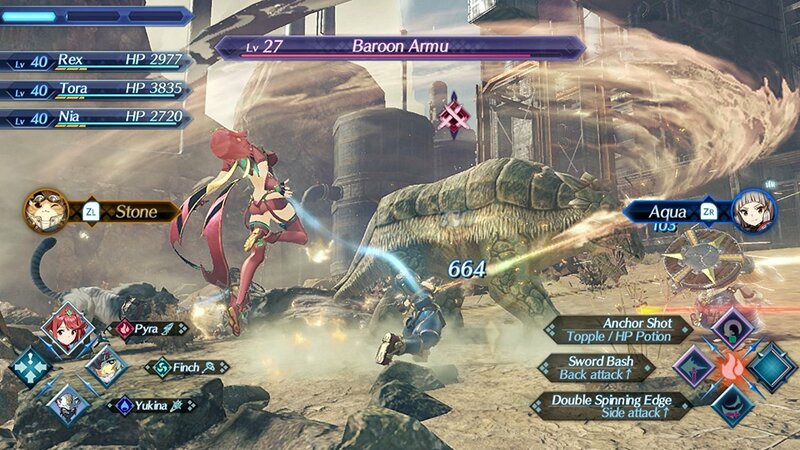 The Xenoblade series is already well-known for having vast landscapes and Chronicles 2 is no different, with a wide variety of environments. It’s not the biggest in the series – I reckon Xenoblade Chronicles X still has a slightly larger overall game world – but it’s certainly still huge. It looks lovely too… as long as you’re playing on your TV with the Switch docked. It’s clear that Chronicles 2 is pushing the Switch to its limits, because when you play in handheld mode the visual hit is clear. Depending on the area you’re exploring, characters and scenery can be extremely blurry when playing in handheld mode. It’s probably the biggest drop in a Switch game to date. 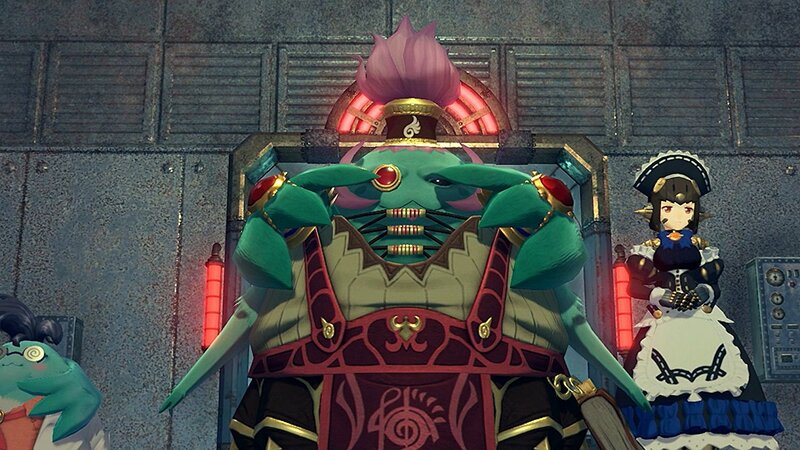 Don’t get me wrong, the overall quality is still much higher than the remake of the original Xenoblade Chronicles on New 3DS, and so it’s still the best handheld Xenoblade, but it’s impossible not to notice the major drop in quality if you’ve been playing on your TV for a while and then switch to playing it on the move. In fairness though, it’s not really the sort of game that’s best suited to portable playing anyway. 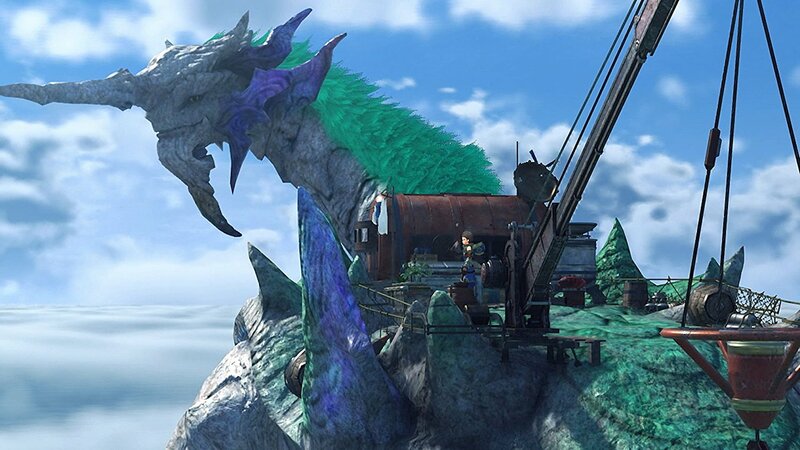 This is a game that’s heavy on story – maybe even more than the other Xenoblade games – and as such there are a number of lengthy cutscenes scattered throughout which don’t really lend themselves well to quick sessions on the bus or train. And you know something, that’s completely fine. Not every Wii game had motion controls, not every 3DS game was playable in 3D, and not every Wii U game used the second screen in a meaningful way. Just because the Switch can be played in either docked or handheld mode, it doesn’t mean every single game released for it has to work just as well in both. It’s perfectly functional when you’re on the move, but this is a game that’s clearly been designed for TV play and there’s nothing wrong with that. 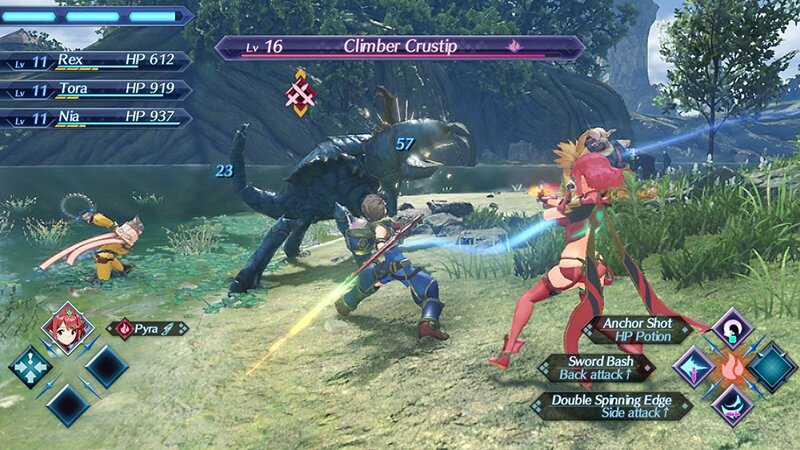 In all, Xenoblade Chronicles 2 is another solid RPG from Monolith Soft. Its story is engaging, it looks lovely at times (on a TV, at least) and will take you an obscenely long time to see and do everything it offers. It can take a while to get going, and grinding in its open areas can be a bit frustrating in the early stages (especially when a high-level bird just swoops down while you’re battling and boots your arse every now and then), but this is very much a game where patience and practice are virtues. It certainly isn’t without its niggles, and it can be an absolute ball-ache to learn the intricacies of its battle system without any in-game ‘how to play’ indexes to refer back to. But stick with it and the effort will pay off, and you’ll eventually find yourself hooked. 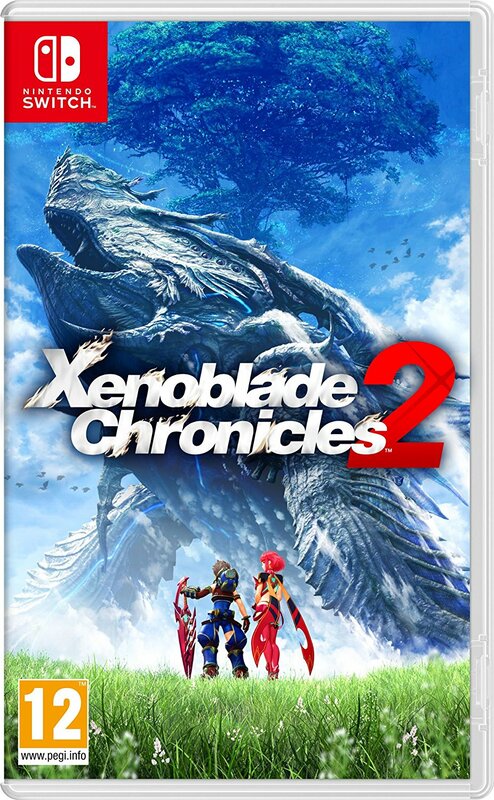 Xenoblade Chronicles 2 is out now on Switch, priced £49.99/$59.99 respectively on the Switch eShop. You can also buy the physical version from Amazon UK or buy a download code there for cheaper than the eShop price.